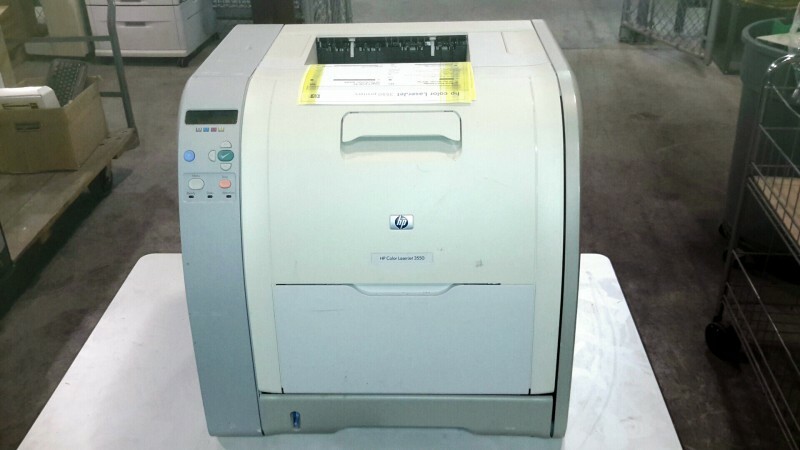 Description: HP color laserjet 3550 printer - 1 each. See pictures for supplies status page printed. 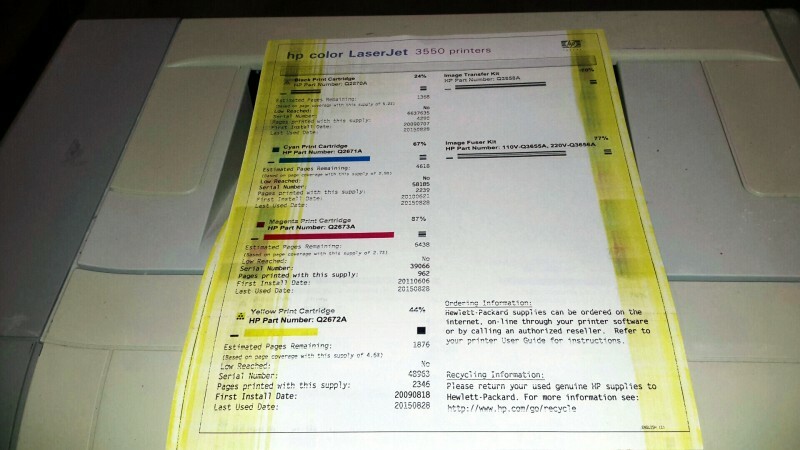 Printer works but will need cleaned.